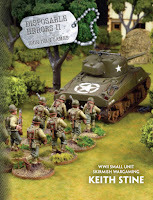 This year I painted up a platoon of 28mm US forces so they can be used in some 1 to 1 scale gaming. After having tried some other rulesets at the Sutherland Shire Gamers, we are starting use Disposable Heroes 2 (DH2)which has only recently been released. 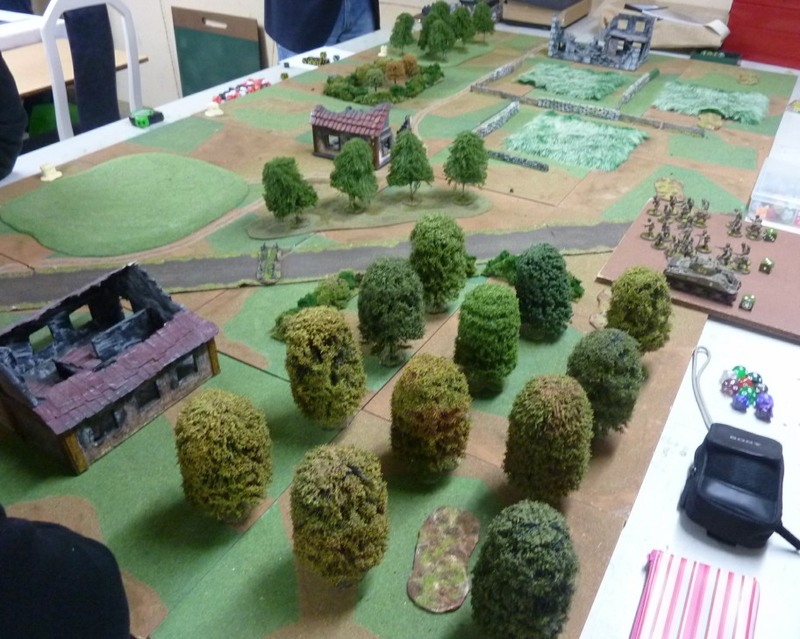 One thing about playing games at a club, is that there can often be more than one player per side, and it is good if the rules can handle this. 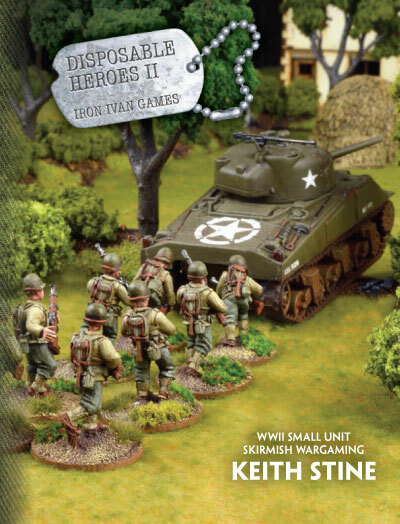 We found the Chain of Command rules struggled somewhat in this regard, as one side had to wait until all opposing players made their moves, with a possibility that, due to lucky dice rolling, those players could get even more multiple moves. With DH2, each side instead alternates activations, which makes the game far more engaging with multiple players a side. Each activation gives a unit 3 tactical points, most commonly each tactical point is spent either shooting or moving, and tactical points can be shared. You can also activate the same unit all the time, so it makes for some interesting tactical choices. As it turned out, the US teams got supressed and were starting to fall back to regroup. The Germans used a push activation (this is a bonus activation you can get if you pay for better training) to charge the infantry into the building. 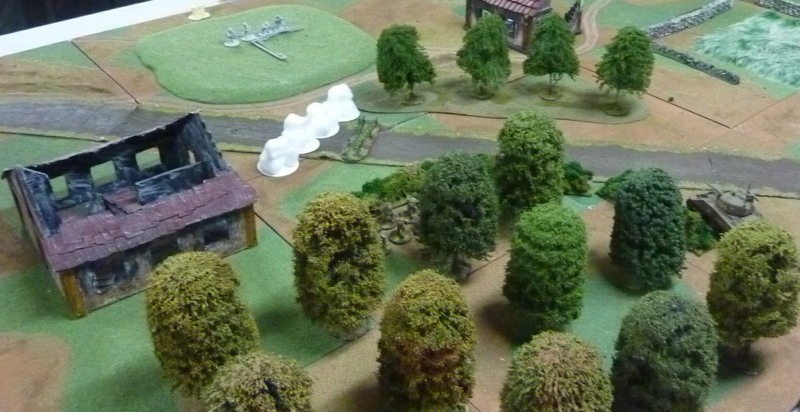 The Germans won the fight, but only had 3 figures at the end of it, so the hand to hand was quite brutal. 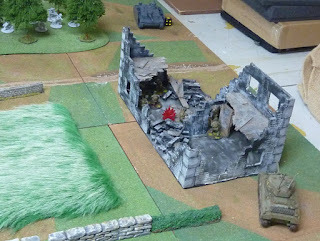 The Sherman tried to shoot into the ruins, only managing to inflict a couple of supressions, and then used a push activation to move in front of the Stug and shoot. The Sherman acquired and hit, but failed to penetrate the armour. 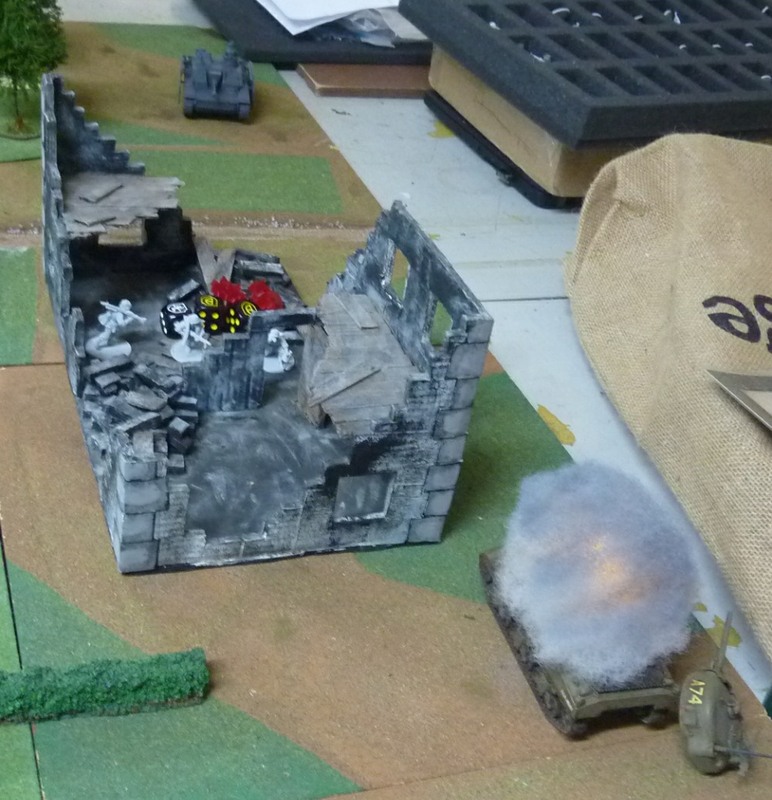 In reply, the Stug rolled almost perfect dice and blew up the Sherman. Things were starting to look bad for the US. Eventually, the Stug now moved across and took a pot shot at the Sherman, failing to acquire. The Sherman shot back, using a normal activation and push activation to shoot, missing on all attempts. The Sherman's luck ran out as the Stug came in for another direct hit, scoring its second kill. 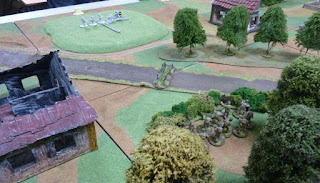 At this point (we were about two thirds of the way through the second turn), it was decided the US position became untenable and promptly withdrew. Very cool to see a report on this game.